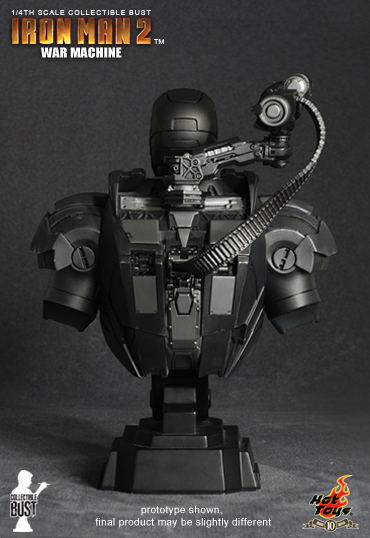 There will be another Bust from the Hot Toys’ Iron Man 2 franchise and this time it will be the War Machine himself! 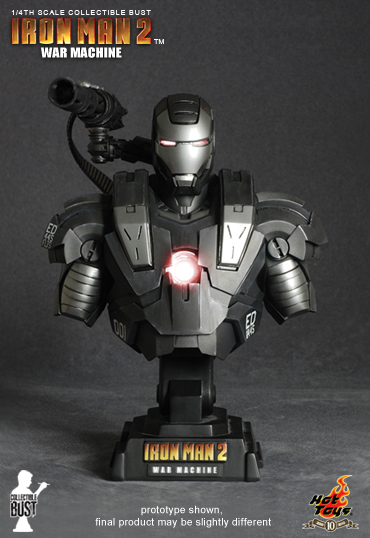 IRON MAN 2: 1/4th scale War Machine Collectible Bust (Product code: HTB07). 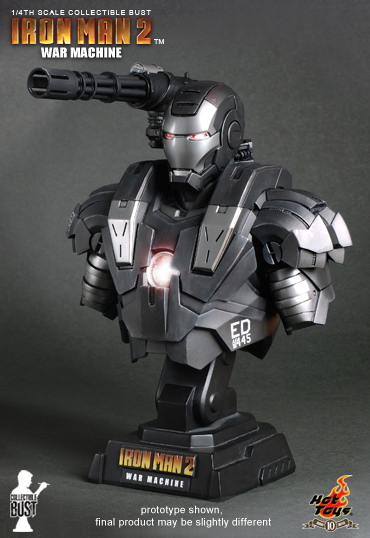 Hot Toys is proud to present the 1/4th scale War Machine collectible bust from the Iron Man 2 movie. 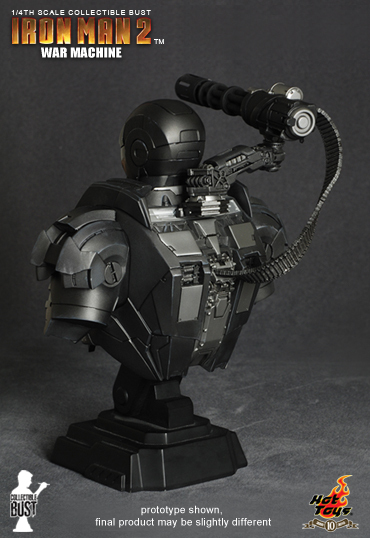 It is specially produced based on the image of the well-received character War Machine in the movie, which is presented in fine sculpture, highlighting the light-up functions and highly-detailed weapon. 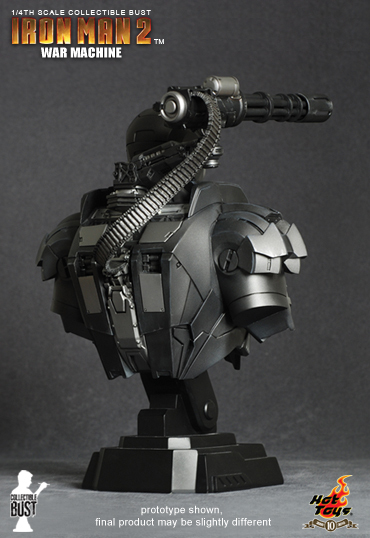 Pre-order this item at Toywiz Malaysia now! This item in stock now at Toywiz Malaysia and Toy Garden Kuala Lumpur. Retail price RM289 each. how much is this? and do you know when is the Mark VI available? how much is this one? RM249? and when is the Mark V and VI available? ?